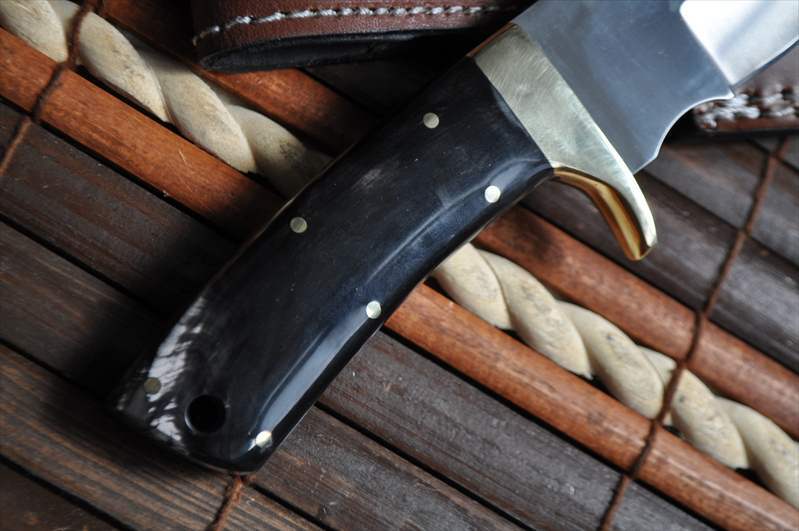 Hunting knives are primarily knives of the olden times when hunting was a major sport. These knives were then used to prepare the kill for food by skinning and extracting meat. 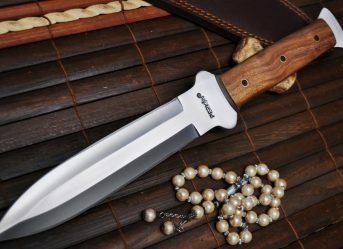 But now that hunting is an extinct sport, that does not mean hunting knives have lost their importance. 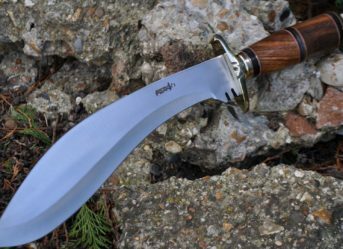 They are still very much prevalent and owing to their versatile functionality are now a part of survival kits of adventure sports lovers and people who have to live in tough landscapes. 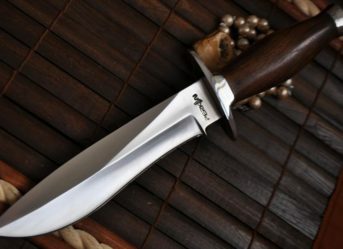 Perkin offers various kinds of hunting knives like this one of 440C steel blade and 8 inches in length, coming with a handmade leather sheath. 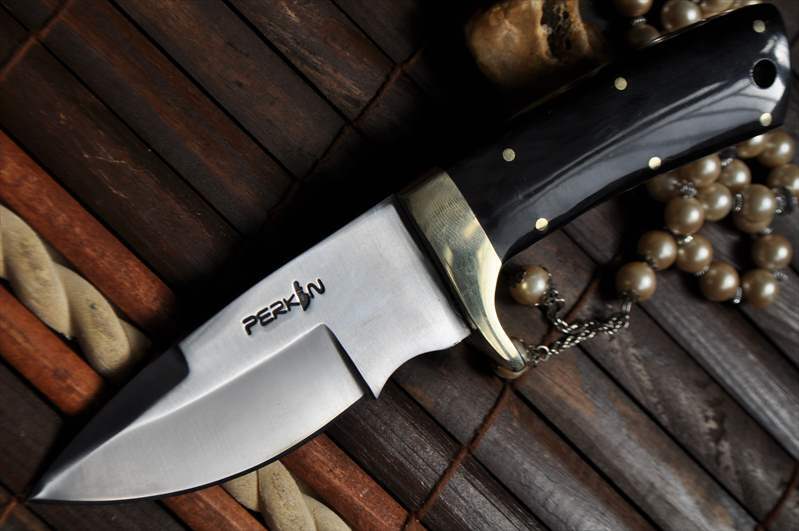 One of the highlights of this knife is that it has a bull horn handle which is unique in itself. Nice ! It works good…. 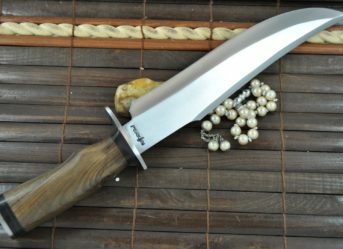 Hunting knives are primarily knives of the olden times when hunting was a major sport. These knives were then used to prepare the kill for food by skinning and extracting meat. 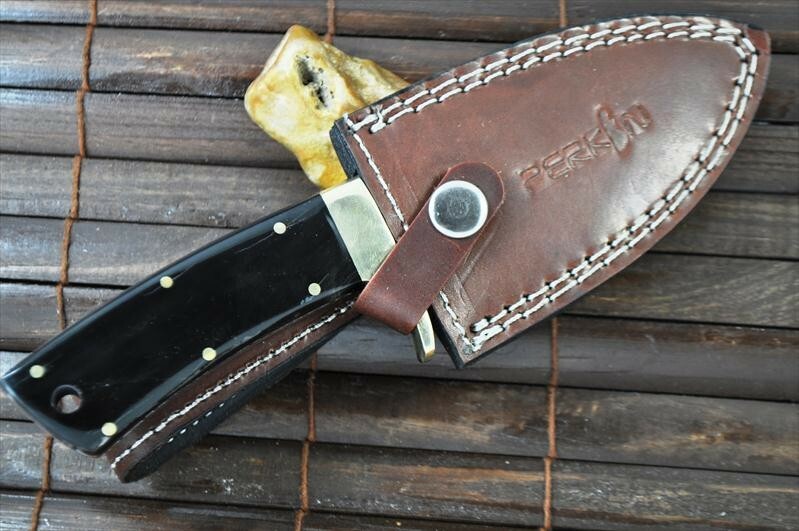 But now that hunting is an extinct sport, that does not mean hunting knives have lost their importance. 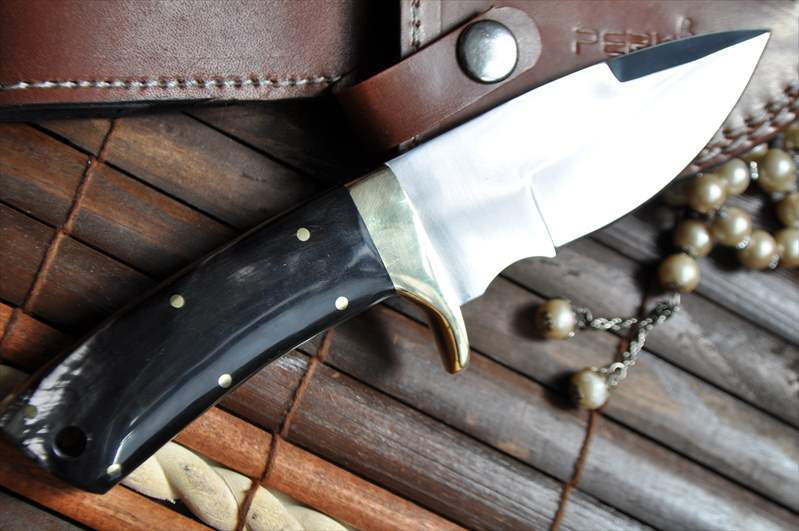 They are still very much prevalent and owing to their versatile functionality are now a part of survival kits of adventure sports lovers and people who have to live in tough landscapes. 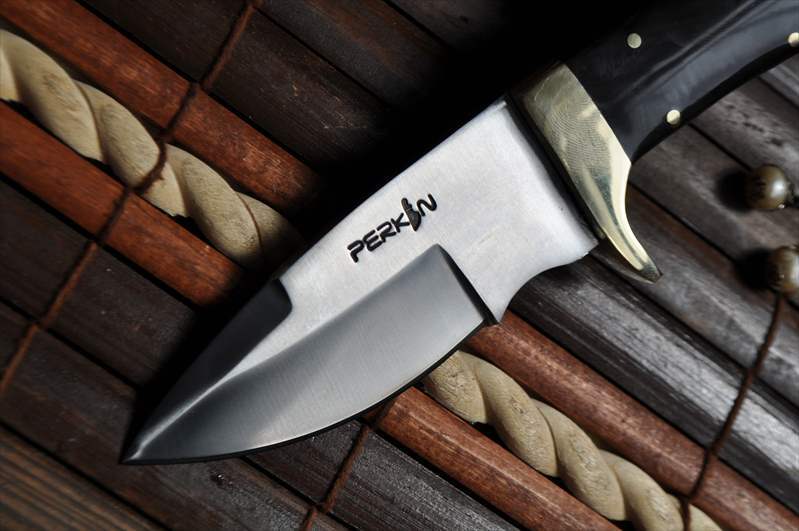 Perkin offers various kinds of hunting knives like this one of 440C steel blade and 8 inches in length, coming with a handmade leather sheath. 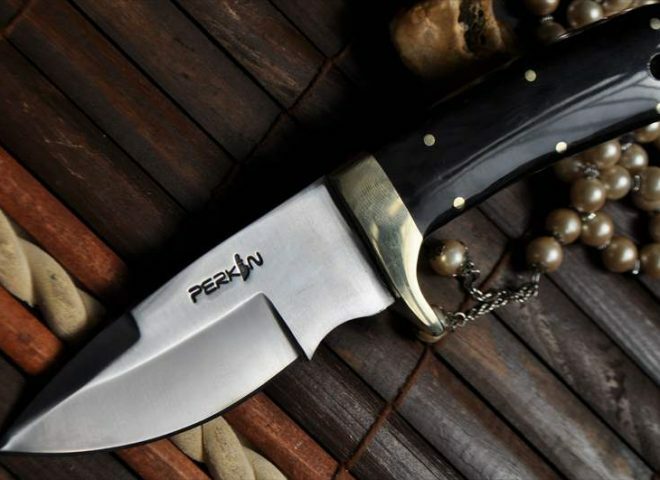 One of the highlights of this knife is that it has a bull horn handle which is unique in itself.